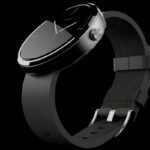 The Moto 360 smartwatch was announced by Motorola this morning absent technical specs, price, or a specific release date. What we do know is that the 360 will be based upon the upcoming Android Wear OS, that it will be released some time this summer, and that it is simply drop-jaw gorgeous. 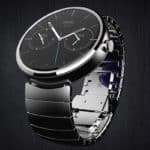 Although only a few renderings have yet been posted, the Moto 360 appears more like a classic high end timepiece than a nerdy technophile accessory like current crowd favorite Pebble. This is the market direction we have been hoping for … a brilliantly engineered, precisely manufactured, highly functional smartwatch that looks like it belongs in a watch collector’s winding box, not in a Radio Shack display case. Is the Moto 360 the Holy Grail of wearable technology? Based upon what little information Motorola has released thus far, we can’t hazard a guess. 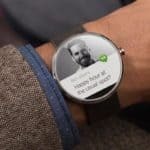 What we can say is that every thing we have seen to date indicates that the Moto 360 may shortly appear on our highly regarded list of favorite smartwatches. Motorla has revealed no information regarding the Moto 360 price. However, based solely upon current smartwatch offerings, we anticipate that the 360 will be priced at $299 which would put it in direct competition with the Galaxy Gear and upcoming Martian Notifier. Please keep in mind that this is simply our best educated guess and if the Moto 360’s unique configuration results in increased manufacturing costs, those additional expenses will likely be passed on to the consumer. Motorola has provided no information regarding the Moto 360’s technical specifications. We do know that the display will be round, a unique implementation requiring innovative design and engineering. However, the visual quality and practical usability of such a display has yet to be seen. We will post updated tech specs as they are revealed. 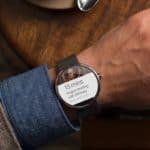 The Moto 360 will be driven by the recently released Android Wear and will be compatible with most Android based smartphones. Unfortunately, this likely spells exclusion for iPhone aficionados as the two operating systems tend to not play well together. The Moto 360 smartwatch has yet to be released. Accordingly, it is likely running beta firmware 0.X. 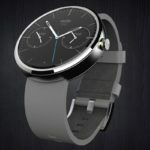 Motorola has announced that the Moto 360 will be centered upon the new Android Wear OS. This should provide the 360 with an extensive software catalog available for install immediately upon release. 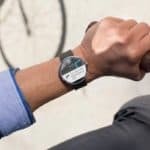 Such a tact is wise, on Motorola’s part, as the lack of useful apps is a common complaint among new smartwatch owners forging their first relationship with wearable technology. Would you like to see what else is available and what is currently in development? Make the jump and see our ever-expanding list of smartwatches.